The best way of telling your story. Viewing an album truly is the most beautiful way to reflect on a set of photos. 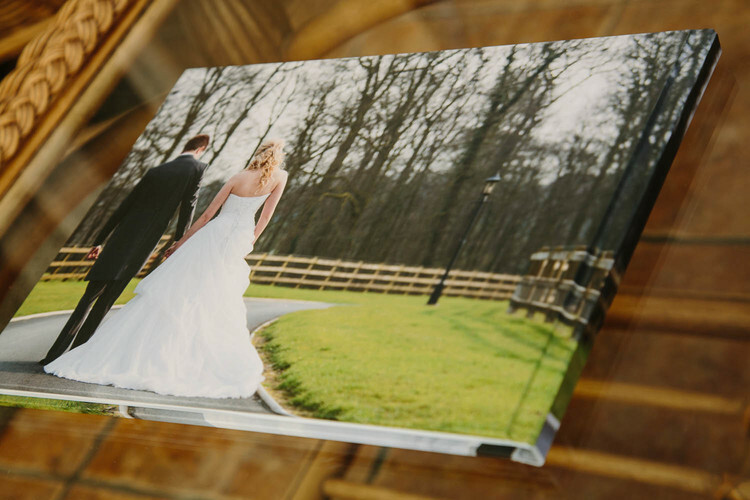 I currently offer albums as part of my wedding photography collections, but albums can also be bought separately. 2 Album variants are currently offered; Layflat/Photographic Coffee-table Albums. Choose your album images via your online gallery. The layout is designed in-house. You will receive your digital-proof of the album layout. Layout amendments can be made at this stage. Once approved, your album is sent to be processed. Album is delivered 3-5 working weeks after approval. When designing the layout of the album, I try not to get to complicated with things, as this can detract from the images themselves (in my opinion). Check out the short videos & photos below. It should give you a general idea of the style, feel and layout of the album. Lay-Flat paper is press printed onto heavyweight matt paper, that lays perfectly flat when open to give a small seam between a double-page spread. 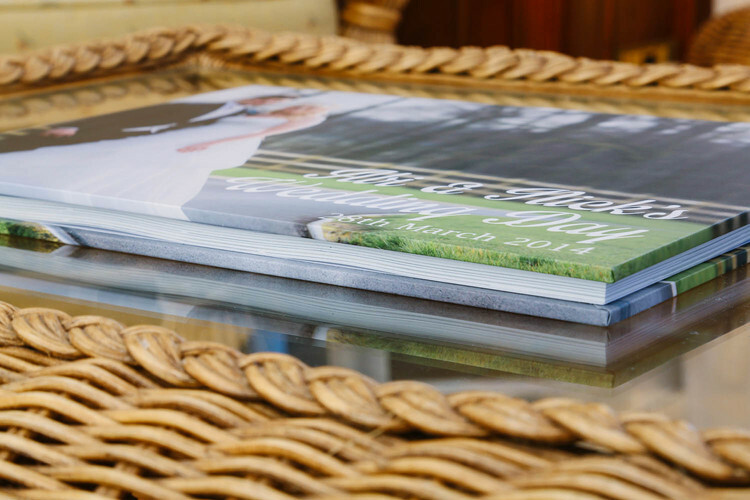 Sizes: A4, 12" x 12"
Sample shown: 60 page A4 Lay-flat with Matt Photo Wrap Cover. 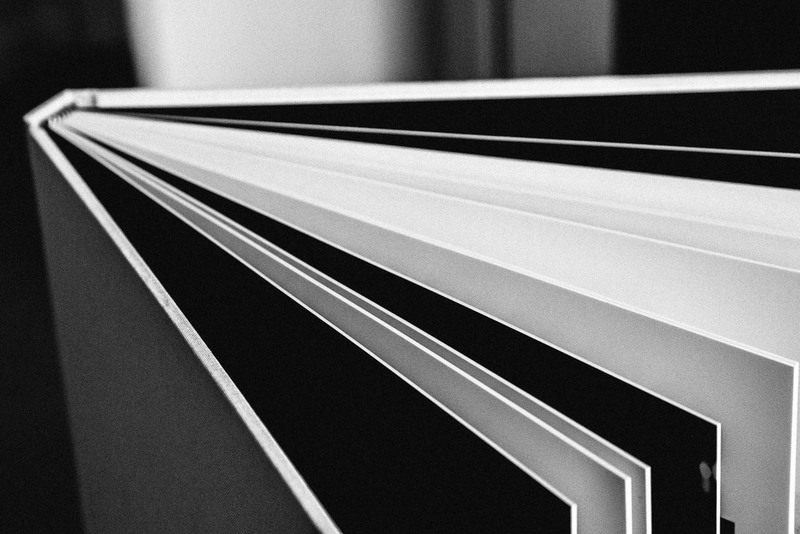 Photographic paper has a lustre finish that lays perfectly flat when open. This is the heavier paper of the two album choices. Sizes: 10" x 14", 12" x 12"
Sample shown: 10 page 12" x 12" Photographic with Cream-Linen Cover.